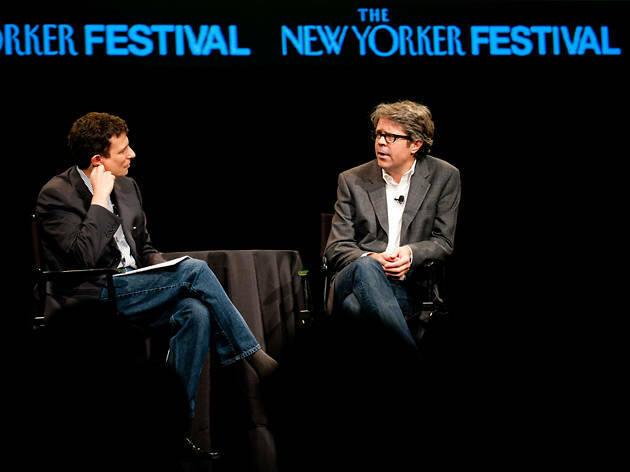 Every year, the New Yorker curates an all-star weekend of talks, tastings and performances featuring unexpected entertainment legends, political mavericks and literary stars. Though this year's edition, originally featuring Steve Bannon, was initially met with controversy by participants and fans alike, it seems the dust has settled. Bannon is out, and a killer roster is set to hit the SVA Theater, Roulette, Directors Guild theater and other venues. Here are the events you can't miss. Friday night features a conversation with Morning Joe's Joe Scarborough and Mika Brzezinski at SVA Theater, moderated by magazine editor David Remnick; along with separate talks and performances by Kasey Musgraves and Jack Antonoff at Roulette, and Miguel at the Ailey City Group Theater. Saturday's lineup includes a morning conversation with Kehinde Wiley and Vinson Cunningham; an epic meeting of the minds between Christine Baranski and Emily Nussbaum at Directors Guild Theater; a "Fresser's Feast" at 2nd Ave Deli with food critic Hannah Goldfield; and an outrageous conversation and performance featuring Bridget Everett at SVA Theater. Sunday features a talk with master relationship counselor Esther Perel; a dialogue titled "The Female Gaze" featuring Lena Dunham, Rachel Bloom, Yrsa Daley-Ward and "Cat Person" writer Kristen Roupenian; and talks with Chris Hayes and Janet Mock. 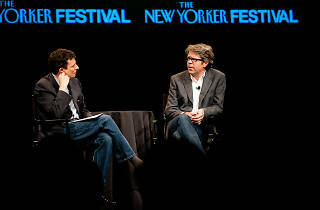 Be sure to check the New Yorker Festival site for more information.